I’ve adjusted the word counter to reflect my final goal. I still have a little more story to tell, but it’s definitely getting down to the bitter and the sweet. This book has the murkiest ending of anything I have written, maybe because we are in the throes of winter. It is cold and dark, and I’m sure that is affecting my mood in subtle and not so subtle ways. But it is also a happy ending too, so don’t be put off! Still no firm plans on what to write next. I swing from one side of the compass to the other. I think I just need a bit of a rest. Tune in if you get the chance. 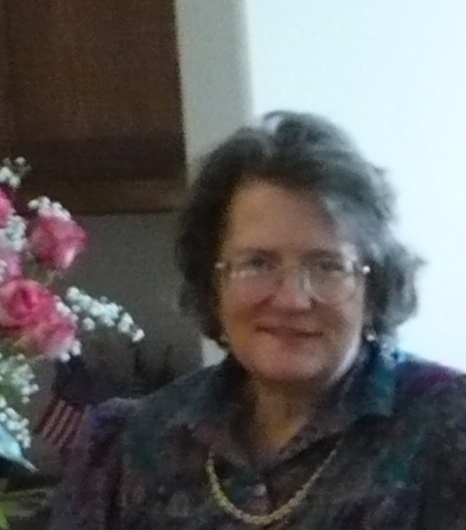 Please give a warm welcome to Pat Bertram as my guest blogger today. Pat is celebrating the publication of her first two novels with a virtual book tour! Pat Bertram is a native of Colorado and a lifelong resident. When the traditional publishers stopped publishing her favorite type of book – character and story driven novels that can’t easily be slotted into a genre – she decided to write her own. 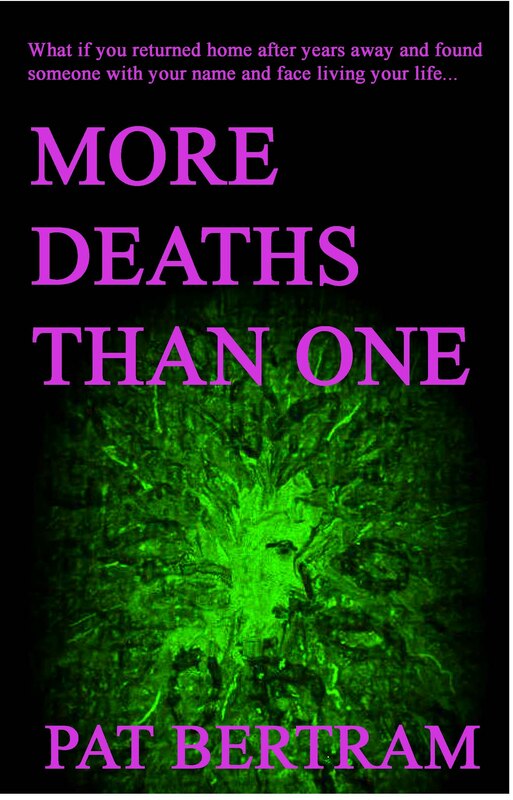 More Deaths Than One and A Spark of Heavenly Fire, available at Amazon and from Second Wind Publishing, are Bertram’s first novels. Suzanne Francis and I have celebrated many firsts together. 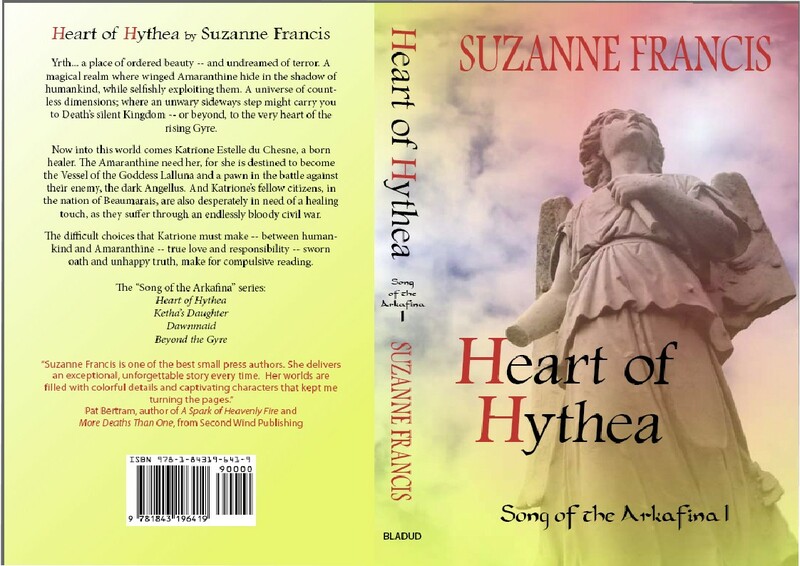 About the time her novel Heart of Hythea was first published as an e-book, I started my first blog. She was one of the first to leave a comment on that blog. When I entered More Deaths Than One in a contest on Gather.com, she was the first to sign up just to vote for me. She was my first cyber friend, my first author friend, my first international friend. She was the very first person ever to read one of my manuscripts, and the first to call it “brilliant.” (So far she’s the only one who called Light Bringer brilliant, but then, so far she’s only one who’s read it.) While we’re at it, I might as well add another first: here is the first announcement that, if everything goes as planned, Light Bringer will be published at the first of next year. Eighteen months after we first “met,” Suzanne and I had our first books released in print form, and we wrote our first endorsements for each other. So when I decided to do my first blog tour as part of my first book launch party, I wanted Suzanne to be a part of it. Normally I would have written one of my usual blog articles for her to post, but when one is celebrating firsts, there is no such thing as usual. Hence this personal journey into our shared firsts. Suzanne, thank you for being part of my first book launch party. I hope we celebrate many more firsts together. After an amazing time in the USA I am back in Dunedin. The highlights of the trip were visiting with my lovely family, riding the Sunset Limited, and seeing “Spamalot” at the Von Braun Theatre in Huntsville. And, of course, finally getting to hold a copy of Heart of Hythea for the first time. The holidays are here but I would like to think I’ll still be able to do a little writing. Maybe I’ll cut my goal back to 500 words a day. I’ve been trying a running program called Couch to 5k. I’m on week 3. So far its been OK. I wasn’t exactly a couch potato when I started because DH and I walk two miles most every evening, but running is definitely harder. I have a fantastic podcast to help me get through it. It tells you exactly when to run and when to walk, along with some really great music! 1. Get back down to the weight that is listed on my driver’s license (135lbs.) I have ten pounds to go. 2. Do ten proper push-ups. Right now I can’t even do one, *sigh. 3. Finish the C25K program. Now I have told the world I’ll have to be really motivated. One of the main characters of Sons of the Mariner, Jakob Faircrow, has been interviewed by Pat Bertram.